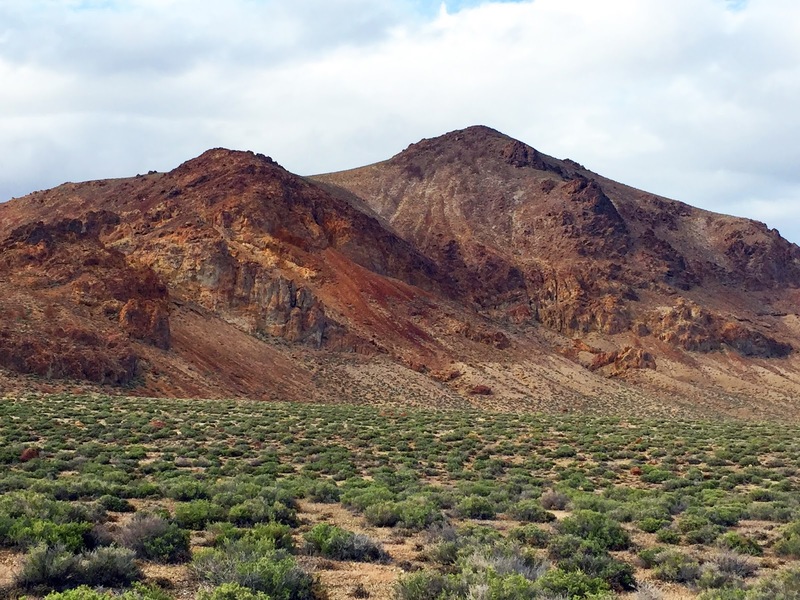 The Calico Mountains west of the Black Rock Desert Playa are colorful peaks rising above a sea of gray and green sagebrush. 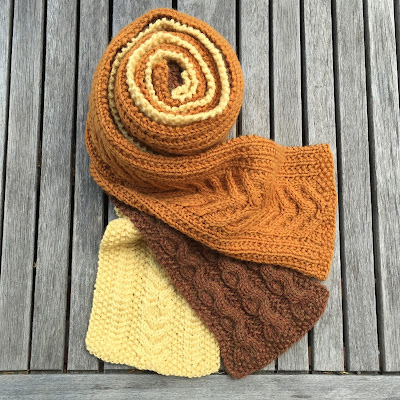 The rugged mountains shine in the desert with amber, orange, and yellow rocks. The array of minerals that make up the mountains contribute to the color of the Calico Mountains. 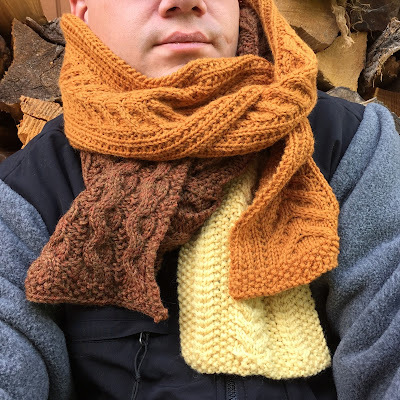 The jagged colorful mountains sang to me of cables so I created a trio of cabled scarves in different colors of the hills. I had a lot of fun creating these scarves. 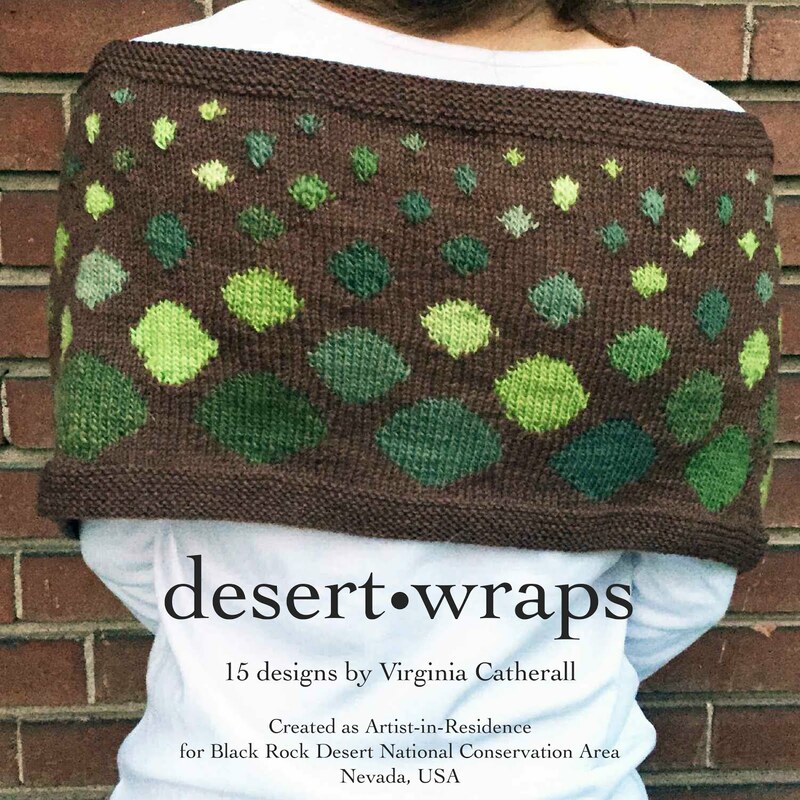 I started them while staying in Black Rock Desert and took a few months working on them intermittently. Every time I picked them up I was transported back to the desert. I could smell the sagebrush and hear the frogs in the streams at night. I was a little sad to finish them. But I love how they turned out. 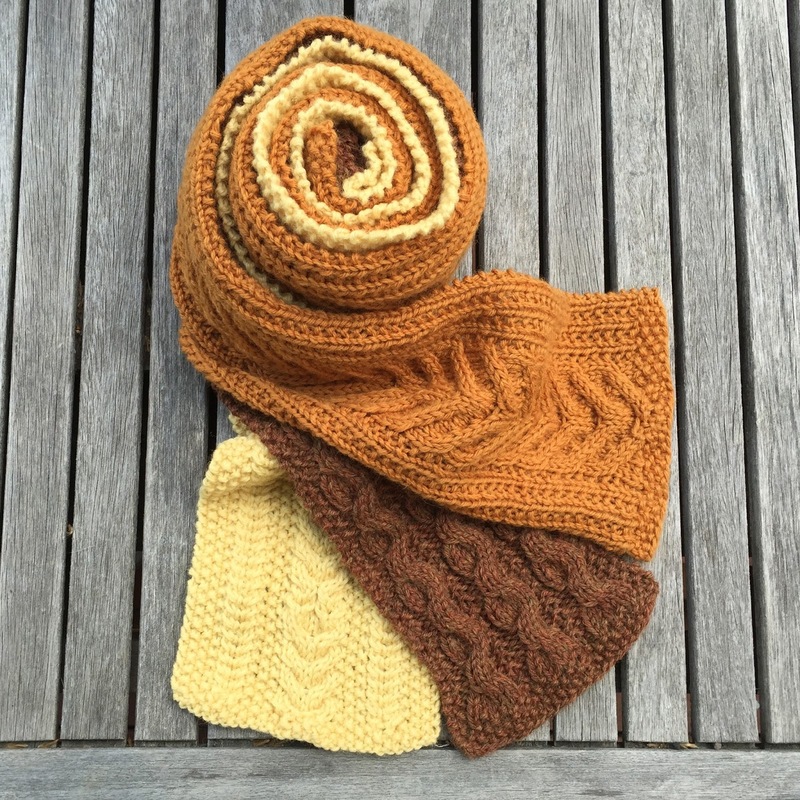 Worn either separate or together, each scarf only takes 100 grams of wool so they are quick to knit up. 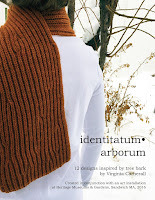 When I publish the pattern, I hope others can be transported to Black Rock Desert whenever they knit them up as well. This piece was created as an Artist-in-Residence at Black Rock Desert National Conservation Area. 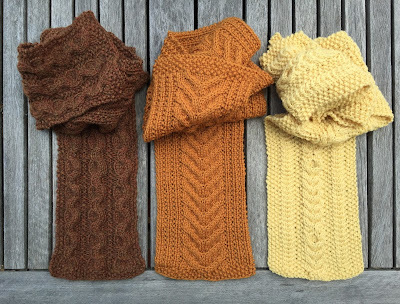 I want to buy the pattern for these scarves on Ravelry but I see it says there will be chart reading. Are the directions also written step by step and charts?